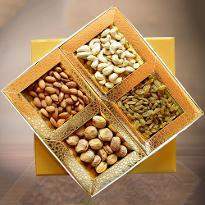 Online Diwali Dry Fruits Hampers: Checkout Diwali Dry Fruits and Send To Your Loved Ones From Winni. Buy Diwali dry fruits online from Winni for your near and dear ones to make them feel extra special. Diwali is the perfect moment to spread love, care and happiness. 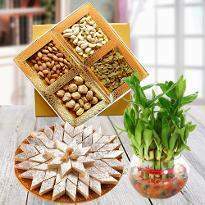 What can be a better way than gifting your loved ones with Dry Fruit gift hampers to relish the festival together? Our online gift portal brings to you the best quality dry fruit gift hampers and that too in wonderful packing. The variety of dry fruit boxes not only offer you the ease of gifting but also illustrate a fantastic look which is sure to steal the heart of the recipient with its grand style. Diwali has long been the most commemorated festival in India. It is celebrated with great enthusiasm. The planning and preparation of this festival start weeks ahead. Right from doing the cleaning of the house to purchasing Deepavali gifts everything is taken care of by the members of the family. People visit their near and dear ones and present gifts to convey their warm wishes and blessings. Generally, sweets are the apt gift however if you are willing to gift something healthy and delicious to your loved ones then dry fruits are the great choice. 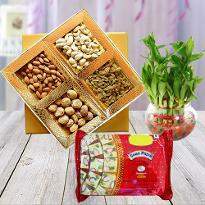 Diwali dry fruit hampers are one of the most appreciated gifts on the onset of Diwali festival. They are one of the healthiest and tempting gift options on Diwali. These gifts are so popular that people really want to present to their dear ones to express their adoration and care. Dry fruits are the excellent source of energy and hence considered to be the best gift. Almonds, raisins, apricot, walnuts, cashew nuts and many more are present in the dry box. If you are planning to buy Diwali dry fruits online then Winni is the right platform. Diwali gives an opportunity to get together with dear ones. It is also an opportunity to express you adore and strengthen your bond with your dear ones. In spite of the fact that gathering at one place and having a wonderful time is the most perfect time, it is particularly possible that you probably don't have the time to visit near and dear ones home. However, in this day and time, where technology has an answer for the greater part of our issues, connecting with the loved ones living miles away is easy. 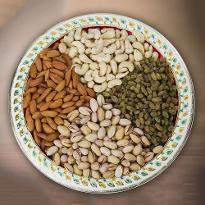 Through the online portals, you can send dry fruits hamper for Diwali to India from any part of the world. 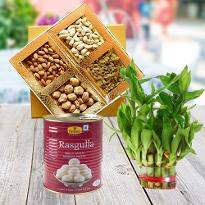 The online Diwali dry fruits delivery enables to deliver your emotions to your loved one's doorstep. So, if you are willing to send Diwali dry fruits online in India then approach Winni. Winni will deliver your dry fruits hamper to your loved one's doorstep conveniently. Dry fruits add to the extraordinary enthusiasm of Diwali celebration and heighten the value of the desires by skewering yummylicious taste. Diwali is one of those festivals where the presenting dry fruit hampers are the apt way to convey love and care to dear ones. If you are in the hunt for ways to convey Diwali wishes to special ones living in India then Winni is the right place to visit. We at Winni offer an array of Diwali dry fruit boxes so that you can gift tempting and healthy treats to your near and dear ones. 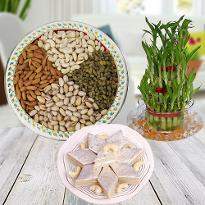 No matter what's the age group, everyone would love to receive such kind of tempting treats on the occasion of Diwali. 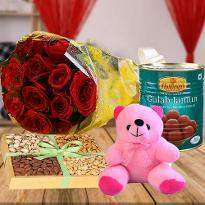 Along with dry fruits, you can also gift chocolates, cakes, flowers, sweets and many more gifts. The crunchiness, crispiness and saltiness of dry fruits are sure to win the heart of your near and dear ones. So, if you are worried regarding whether your loved ones will like your gift or not then leave your all worries because everybody loves to receive dry fruits. Diwali is the perfect time to get together and have fun with friends, families and dear ones. But there are many people who are unable to visit their dear ones either because of geographical barrier or busy schedule, for them, Winni is here to help them. Now, you can mark your presence to the home of your dear ones by sending Diwali dry fruits online. Winni has come up with a huge assortment of Diwali dry fruits gift packs so that you can choose the best gift for your special ones. Now tell your loved ones that you not only miss them but cares a lot by sending Diwali dry fruit hamper from Winni. Online Diwali Dry Fruits Delivery: A Stylish Way to Say "I Care For You"
Sometimes, people are unable to convey their care to near and dear ones. Diwali is one such occasion to convey all the emotions. 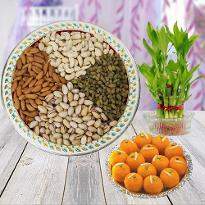 So, If you are willing to convey your love and care to your dear ones then send online Diwali dry fruits. 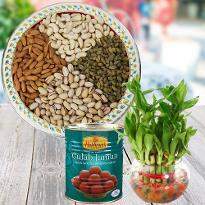 Dry fruits gift packs are the unique gifts that entail care and adoration. So, this Diwali say "I Care For You" by presenting Diwali dry fruits. 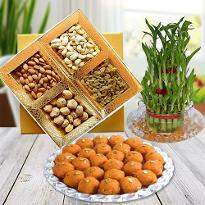 Browse our Diwali dry fruit gift hampers category and place your order online for the desired one. Winni ensures you that your love and care will be delivered in the same way as you want. So, feel free to place your order for online dry fruits from Winni. Products in this category have been rated 4.9 out of 5 based on 145 reviews.